—Exclusive article by Nancy E. Wolff for The Picture Professional, Issue 3, 2015. Whether a photographer needs to obtain any additional permission from third parties to publish or license a photograph depends on both the content depicted in the photograph and the context of the intended use. Here’s a rundown of the dos and don’ts of releases. A person can be recognizable by more than than facial features, like a distinctive tattoo, a silhouette, or an attribute that makes it easy to identify the person by association. For example, The Naked Cowboy in NYC has long hair and always dresses in white underwear, cowboy boots, and a cowboy hat. A particular musician may have a uniquely decorated guitar, or a baseball pitcher may have an identifiable stance. Some states have privacy or publicity laws—either by statute or common law (case law)—that restrict the right to use someone’s name or likeness for a commercial purpose without consent. Countries outside the US have similar laws and may be more restrictive, protecting individual’s privacy even in public places. Whether you need permission depends on the intended use; is it “editorial” or “commercial”? A photograph is editorial if it’s used to illustrate a story in a publication, broadcast, or film that is newsworthy, cultural, or of public interest. These uses are protected in the US by the First Amendment, freedom of press, and freedom of expression. Even if an editorial photograph is licensed or sold for a fee, it will not be considered “commercial use” under privacy law, and consequently not require consent from the person depicted. Photographs depicting recognizable people are okay if the use is considered expressive, like a photograph displayed as art. Other expressive uses would include an article, book, or documentary featuring a photographer’s work. Editorial use also includes images that depict entertainment, sports, music, and other events, like truthful articles in magazines, newspapers, blogs, non-fiction books, documentaries, and news broadcasts. The fact that the public is interested in the subject—whether it’s politics or what a celebrity wears to go out shopping—will shield the use from privacy laws. The only requirement is that there be a reasonable relationship between the photograph and the event or subject illustrated by the photograph. For example, a photograph of a large family used to illustrate an article about in vitro fertilization and caffeine use was considered outside of New York’s privacy law, even though none of the children were conceived through in vitro fertilization. If the use is editorial or incidental advertising, such as the sale of a magazine or newspaper with a news image on the cover, use of the editorial image is not considered a privacy violation. What is called “advertorial” is not, however, an editorial use. Its purpose is to appear to the reader as a neutral article, but is written to promote a commercial purpose. A release would be required to illustrate an advertorial article. And don’t think that if someone dies, their image and likeness doesn’t need a release. The right of privacy or publicity may be transferable at death to heirs in some states or countries. In several states, including New York, the right terminates at death. When it comes to groups, you might be able to license a photograph of a large crowd if none of the individuals are the focus of the image or could be made the focus through tight cropping. Otherwise, if you want to make photographs of individuals available for commercial licensing in the US (sometimes referred to in the industry as “creative images”) you will need to obtain a written model release. Authorization for this broad use must be obtained from the person depicted, or—in the case of deceased subjects—from the estate. In fact, most image licensing companies will require you to submit broad model releases to accompany accepted images if recognizable people are depicted. Photographs, even taken of family and friends, cannot be used for commercial purposes without proper release. Sample releases are available through trade associations and image libraries. There are even ready-to-sign electronic release forms available through the app store. As rights of privacy and publicity laws only provide restrictions on the publication of recognizable people, any restrictions on the use of other subjects in images—recognizable objects, animals, works of art, furniture, or buildings—must be based on other legal theories, such as trademark or copyright. In a case in which there is no legal impairment, releases may still be requested by clients; if a subject within the image is recognizable, a release will make that photograph easier to license. For example, when shooting outdoors, sculptures, monuments, murals, and graffiti are all subject to copyright as works of visual art. If these works are the focus of the photograph—and not an incidental background element—you could be violating the artist’s copyright by photographing the works. Photographs of interiors may include paintings, sculptures, family photographs, and copyrightable objects. Similarly, if these works are the focus of the photograph, and not incidental, permission from the copyright owner may be needed in order to publish the image; furniture, clothing, and many manufactured objects, however, are not protected under US copyright law, as they are considered “useful” objects. It is important to remember that copyright in a work of art is separate from the physical object, so the purchaser of the artwork would only own the object, while the artist who created it would own the copyright. You would need to obtain permission to publish the photograph directly from the artist (or the estate), not the owner. Even some editorial uses may require additional consent unless another exception to copyright applies. Fair use, for instance, permits the use of a copyrighted work under limited circumstances. If a photograph of a work of art is taken at an art opening and later published in an article concerning the opening or photographs are taken of murals on outdoor walls in an article featuring the outdoor art of a city, this could be covered under fair use. Although architectural works are protected by copyright, this does not prohibit the taking of a photograph of a building from a public space. Copyright protection afforded architecture only prohibits another builder from building a similar building. Although copyright law may not restrict the publication of a photograph of a building, it is possible that for some commercial uses you may need a property release, or permission from a building owner if the owner can establish violation of rights under trademark law. As a practical matter, if you are shooting the interior of a person’s home or business, you should obtain a property release from the owner, as you would need permission to enter the property and take the shots. In addition, many cultural institutions have restrictions on taking photographs for commercial exploitation, as part of the entrance ticket. Obtaining a property release for building interiors will make the images more saleable, as some clients, particularly advertising agencies, need one to avoid any interference with the use. You do not need releases for animals, as privacy and publicity rights only apply to people. The exception to this is for photos of an animal that is a recognized character—a movie or TV character that might have independent copyright or trademark protection. This is based on the argument that the commercial use by an unlicensed entity might cause confusion as to sponsorship or interfere with an already licensed user. Some objects or properties may be so distinctive that the owner may acquire trade dress or trademark rights, even if there is no copyright protection to the property. Generally, a violation of trademark rights occurs when the use of the mark in the photograph would cause confusion as to the source of the goods or services or imply an affiliation or association. A good example of a trademarked property is the McDonald’s Golden Arches. Symbols, like logos, make good source identifiers while most buildings do not, as the buildings don’t function as a mark. When you look at an iconic building, you think of the building itself and not a particular owner of goods and services. Similarly, a photograph of a building, without any other context, would never violate trademark rights, as it would just be descriptive of the building. A poster depicting The Rock and Roll Hall of Fame in Cleveland was not found to violate any trademark rights in the building itself, as the building did not function as a trademark, and the poster was not considered a trademark use. Generally, photographs of skylines would also not violate any trademarks rights, as there would be no confusion that the owner of any one building depicted was associated with the user of the photograph. Nonetheless, in order to control licensing for certain goods and services, owners of some iconic buildings file trademarks covering distinctive features. Examples include the neon signage of Radio City Music Hall, the columns of the New York Stock Exchange, and the top of the Empire State Building. This does not mean that all uses of photographs would be prohibited, only those used to illustrate a business or product that might cause a consumer to believe there was an association with the registered mark. Some objects may also acquire trade dress protection. Trade dress refers to product packaging, shape, or design that is distinctive and identifying, like the classic Coke bottle, the shape of certain classic cars, and some distinctive Apple electronic products. Not all uses would be restricted—only those that might imply an association between the owner of the product and the goods and services that image is illustrating. Direct product shots of distinctive items against a white background should be avoided. A stock photograph of a scene in which someone is using their phone, but where the phone is not the focus of the photograph, may not violate any trade dress rights. Many stock agencies have restrictions regarding including these objects in images anyway. When shooting for broad rights commercial use, follow any submission guidelines and avoid problem areas, as not doing so will make it more difficult to license those images. In fact, the general rule to avoid complicated release laws is to create original content that doesn’t rely on already recognizable people, places, and objects. Of course, this isn’t always an option. But hopefully with our handy guide, you’ll be able to better protect your images and reputation. 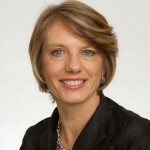 Nancy E. Wolff is a partner at Cowan, DeBaets, Abrahams & Sheppard LLP in New York. She practices copyright, trademark, and digital media law and offers full legal support to a wide range of clients. Ms. Wolff is the treasurer of the Copyright Society of the United States of America, a member of the Media Law Resource Center, chair of the ABA Intellectual Property Law Section on Copyright Legislation, and member of the Task Force on Piracy and Copyright Reform. 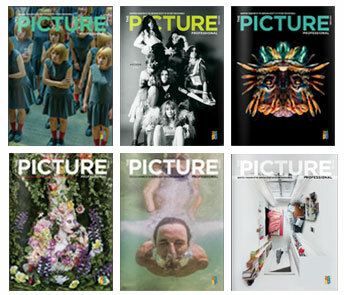 Read Our Previous Issues Online! Reach a targeted audience of image buyers, sellers and creators. Download our 2015 Magazine Media Kit (PDF). Enjoy some of our magazine’s recent articles. Our expert reviewers give you a heads-up on the next absolutely great book. See what we’ve been reading lately. A listing of our favorite exhibitions, photo competitions, and renegade curators coming to a town near you.